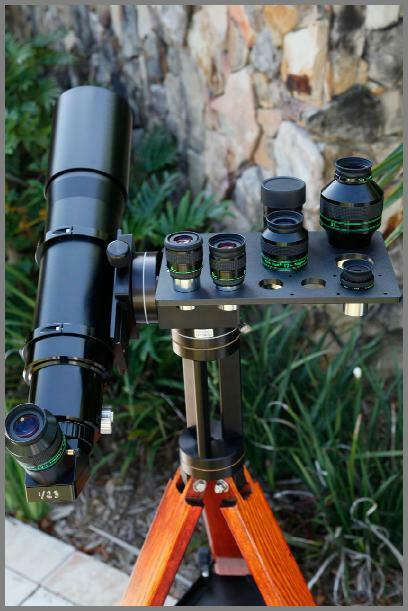 An eyepiece tray that mounts on top of the DM-4 mount, allowing quick changing of your favorite eyepieces. Always in reach no matter where your telescope is pointing. Mounts with 4 screws. Can be reversed for use with telescopes mounted on left or right side of mount. 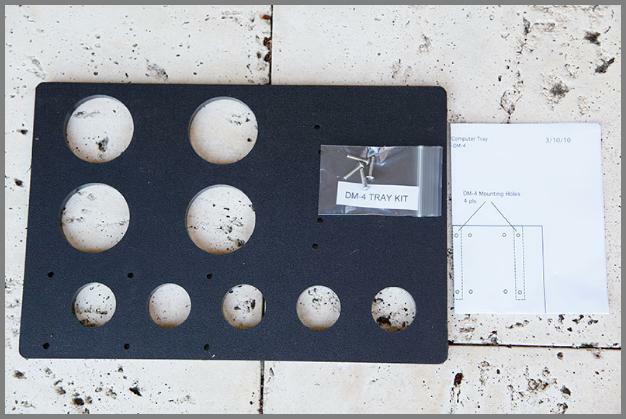 The tray is also made of ABS plastic so it won't scratch your eyepieces.